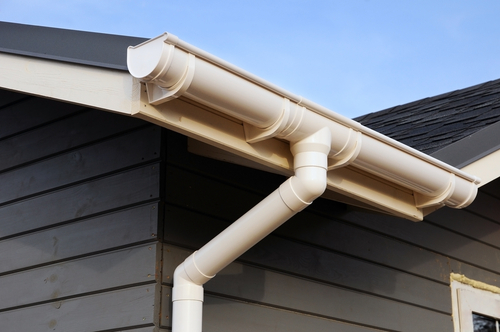 The downpipe is one of the most important parts of any gutter system. It provides rainwater with a direct, controlled path to the ground and away from your home. If your downspout is leaky or broken, water may drain directly onto your home’s siding, which can cause extensive damage. Complete Gutters uses coated aluminum for all our downpipe replacement services, which have a long, worry-free lifespan. This is guaranteed with an industry standard warranty (contact our office for terms & conditions, which are always made available upon request, free of charge). Using modern fastening techniques and high quality materials, Complete Gutters is able to properly fasten a downpipe to any building, ensuring your satisfaction with the installation or repair. Need Help with Downpipe Replacement?